Caffeine is a stimulant while cannabis is largely a depressant, so doesn’t this confuse the body? Science has some answers. Like bacon, cannabis is being infused with everything these days. Pot’s popularity across the globe, coupled with the staggering amount of people who drink coffee each day means that inevitably, weed and caffeine shall be put together as some sort of super drug. 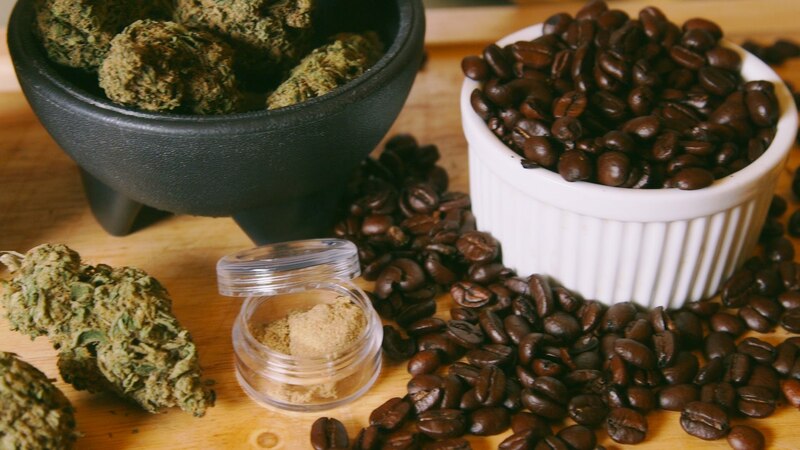 Cannabis-infused coffee products are popping up from specialty retailers and although this sounds delicious, many are understandably wary about pairing these two up. After all, caffeine is a stimulant while marijuana is largely a depressant, so doesn’t this confuse the body? As you can imagine, scientific research is fairly limited on this subject, particularly in humans. Dr. Scott Krakower, the assistant unit chief of psychiatry at Zucker Hillside Hospital in New Hyde Park, NY believes that combining any two drugs is a recipe for potential complications. Dr. Krakower told Live Science that when taken together, cannabis and caffeine, “would mix, neurochemically ” having a different effect on the body than they would when consumed alone. Many pot users believe that caffeine can kill their high due to its uplifting effects, but there’s no evidence to suggest this. Both substances would most likely bring out certain properties of the other, giving the user the sense of feeling wired and sleepy at the same time. Both are known to increase heart rate, so this could add to the feeling of paranoia or increase anxiety when caffeine is mixed with marijuana’s psychoactive element, THC. But some researchers say that caffeine has the opposite effect on THC by potentially making the high more pleasurable. In 2011, a peer reviewed study gave squirrel monkeys doses of THC and caffeine. They concluded that the caffeine enhanced the effects of the high so that less THC was needed to achieve the same effect. “Drugs like caffeine potentiated the effect of threshold doses of THC, causing a reinforcing effect,” states the study. Caffeine increases the effects of a psychostimulant, including THC and cocaine. So, any substance that releases dopamine, including THC, its effects are increased by caffeine. In humans, it looks as though the effects of the combination might primarily be based on one’s own body chemistry and tolerance for each substance. An occasional coffee drinker, or one suffering from anxiety might find that cannabis and coffee heightens their heart rate and exacerbates their paranoia, while a daily coffee drinker might simply enjoy a more alert and energized high. All-in-all, the combination does not appear to be dangerous but should be approached with caution. Caffeine’s addictive nature coupled with its potential ability to enhance the THC high can lead to a greater dependency. To try making your own cannabis-infused coffee, try using the LEVO Oil Infuser.